I have become the dealer in Kunming for the best water purifier system available. This is a true water purifier, not just a filter. Not many systems can claim this distinction. Now you can enjoy pure, safe and delicious water with all of it’s natural minerals intact. Everyone knows the importance of clean and safe drinking water. Suffice to say you are encouraged to study for yourselves about this basic requirement for long healthy living. The problems lie in choosing from the multitude of manufactures and methods used to achieve safe drinking water. I have spent a lot of time mulling through about everything out there and it comes down to just one system…Berkey Water. My original intent was to get myself a proven system that can do it all. I required a system that didn’t require mass maintenance or expensive replacement filters. Most systems out there are like buying a printer. Once they have you invested in equipment, the real profits are selling you endless filter replacements. Living in China and ordering filters IS expensive and a major hassle. Finally I wanted minimum cost of treating my water. I wanted a stand alone system that does not need to be installed, powered by electricity or needing periodic parts replacement. Berkey is just such a system. In fact it far exceeds my expectations so I figured there must be a lot of people here that could benefit from it. I’ve done the heavy lifting researching this stuff for you. You only have to verify for yourself that this is the best system there is. I will provide some links to get you started. Most importantly, no other purifier system can remove more harmful toxins, bacteria, metals, virus, or chemicals than the Berkey system. Here are some good information websites you can study about the Berkey System. This one www.youtube.com/watch?v=xC9iN_Kyico is a good video putting the Berkey through extreme testing. Please watch this first! Is’s about 22 minutes. Next link http://www.naturalnews.com/047373_Big_Berkey_water_filter_ProPur_lab_tests.html shows a good comparison of the leading systems to the Berkey. 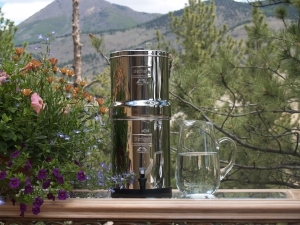 Another user testimonial describes the Berkey quality http://vitafamiliae.com/a-berkey-water-filter-review-for-water-purists-like-me/. Lab testing comparison here http://thesurvivalplaceblog.com/tag/berkey-water-filter-test-results/. 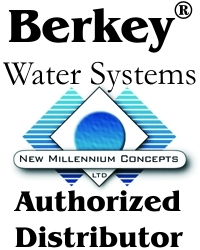 Finally some good FAQ’s on the Berkey http://waterpurificationfiltration.net/berkey-water-systems-faqs/. There are many more websites you should check out, and I leave it to you to search. These will get you started. As soon as my first shipment arrives, I will be able to publish the prices to get your Berkey System in Kunming. I will supply all Berkey Systems with the optional filter primer accessory included. The spigot sightglass will be available as an option at an additional cost. Stay tuned here or leave me a request at the email I posted earlier. That’s why there is a stop button. To the contrary, I get a lot of comments from people who really like the music. Meant to say, please lose the music. I was distracted, by the music. Seriously annoying to be honest. Please use the music. It is really annoying and drives me away from the site before I can really look. Not being nasty or joking, I have had to put my computer on mute. Others may not bother.